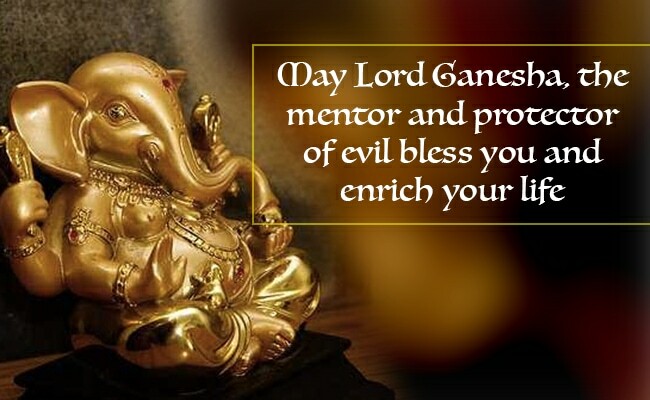 Happy Ganesh Chaturthi: Greet your loved ones with prosperity and good fortune with these messages, wishes, greetings on Lord Ganesha's birthday. 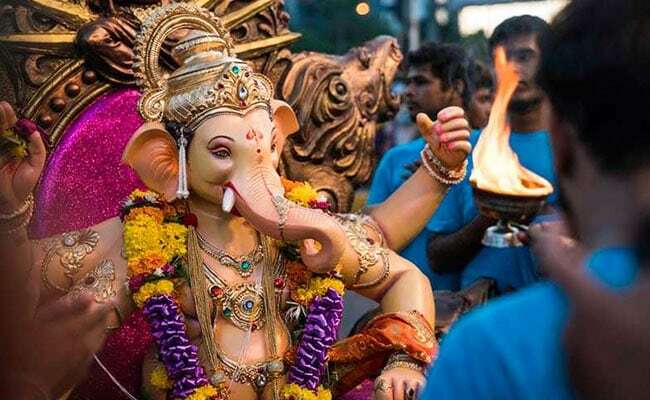 Ganesh Chaturthi 2018: Ganesh Chaturthi or Vinayaka Chaturthi festivities begin on September 13. The birth anniversary of Lord Ganesha, celebrated as Ganesh Chaturthi or Vinayaka Chaturthi, will be celebrated on September 13. The festivities last for 10 days and end with the final immersion also called the Visarjan, of Lord Ganesha idols. Apart from spotting large Ganesha idols across streets in certain cities, people also decorate the idols and place them in their homes. Ganesh Chaturthi is celebrated in the states of Maharashtra, Tamil Nadu, Karnataka, Gujarat among other states. 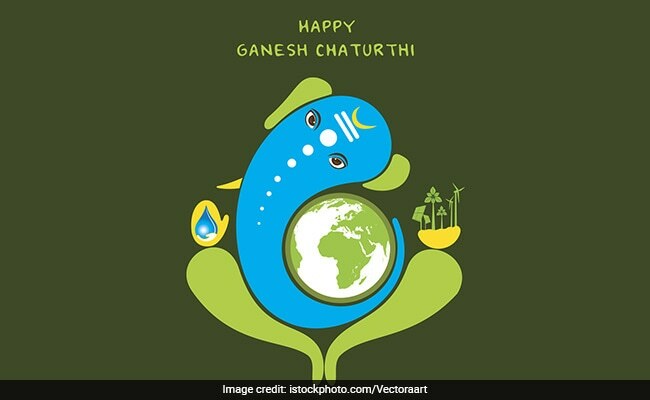 The Ganeshotsav festivities begin on Ganesh Chaturthi (September 13) and end after 10 days on Anant Chaturdashi, also known as the day of Ganesh Visarjan. On this day, devotees immerse idol of Lord Ganesha in a water body close by. The Ganesh Chaturthi festival began with devotees, mostly attired in traditional clothes, bringing colourfully-crafted idols of the elephant-headed God in their homes and pandals and installing them amid chants of 'Ganapati bappa morya', beating of drums and and sprinkling of 'gulal' (red-coloured powder). 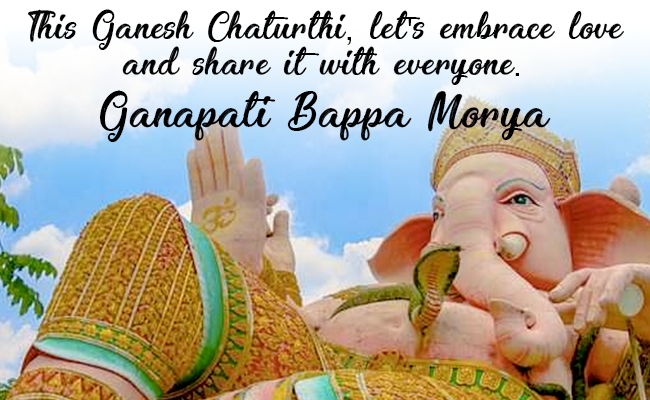 This Ganesh Chaturthi, let's embrace love and share it with everyone. 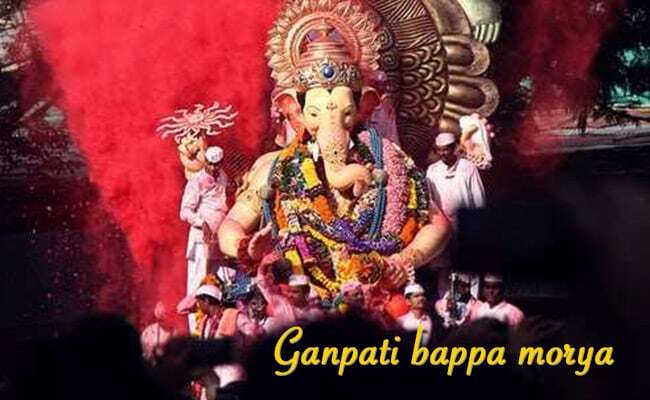 Ganapati Bappa Morya! 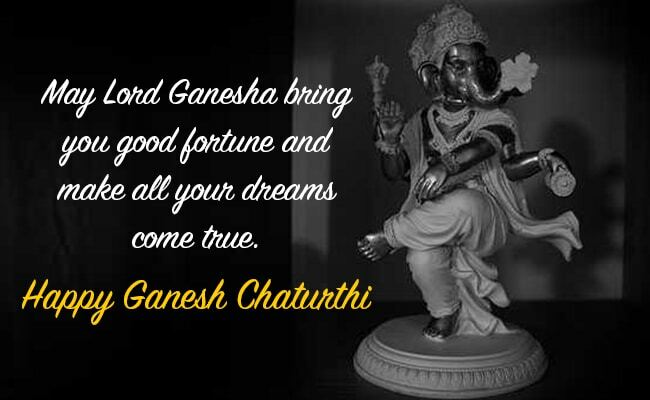 May Lord Ganesha bring you good fortune and make all your dreams come true. Happy Ganesh Chaturthi! 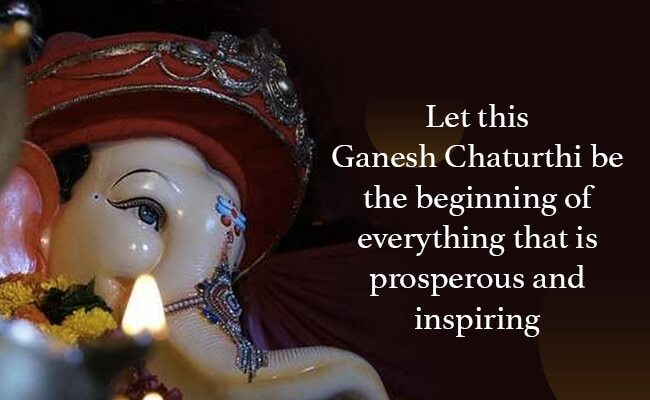 Let this Ganesh Chaturthi be the beginning of everything that is prosperous and inspiring. 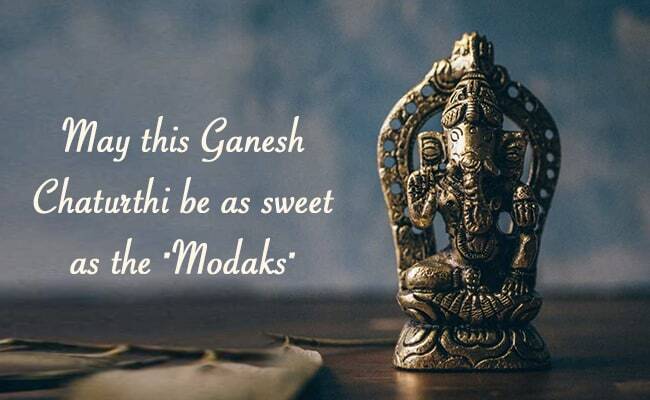 May this Ganesh Chaturthi be as sweet as the "Modaks". Happy Ganesh Chaturthi! 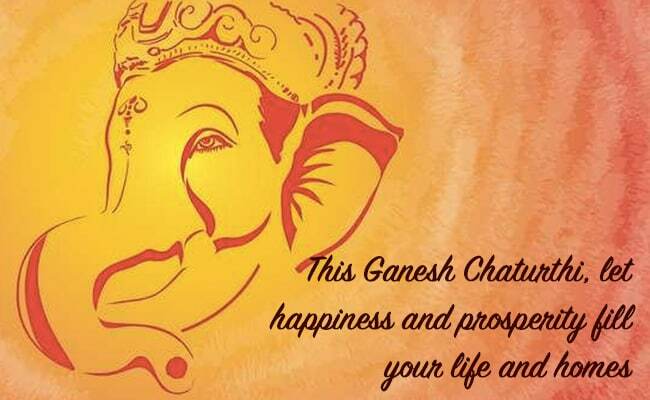 This Ganesh Chaturthi, let happiness and prosperity fill your life and homes. 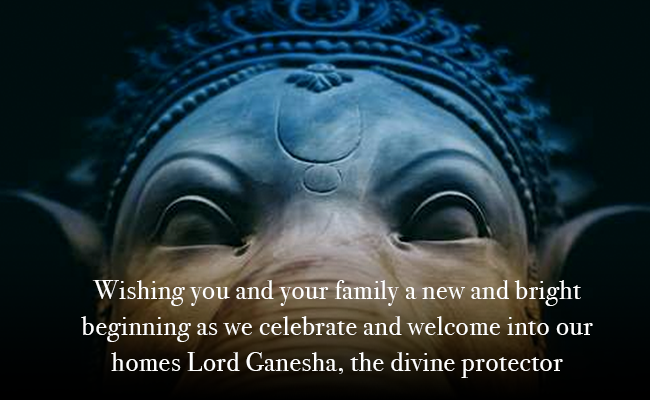 Wishing you and your family a new and bright beginning as we celebrate and welcome into our homes Lord Ganesha, the divine protector! 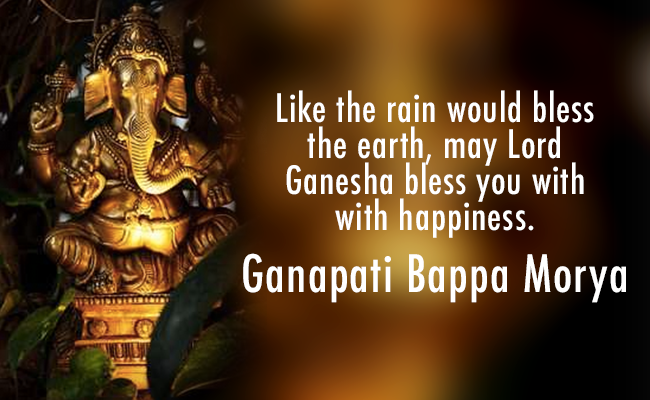 Like the rain would bless the earth, may Lord Ganesha bless you with with happiness. Ganapati Bappa Morya! 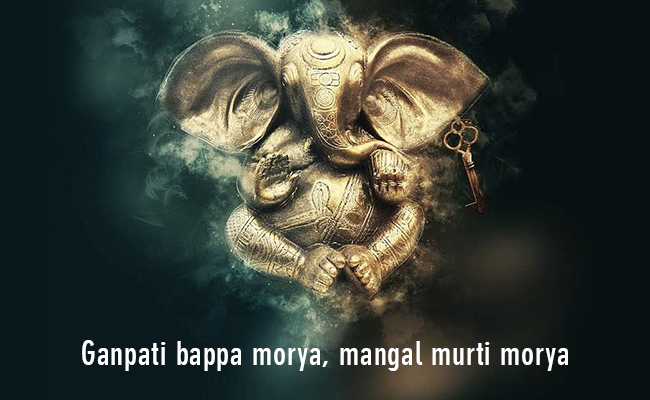 Ganpati bappa morya, mangal murti morya! 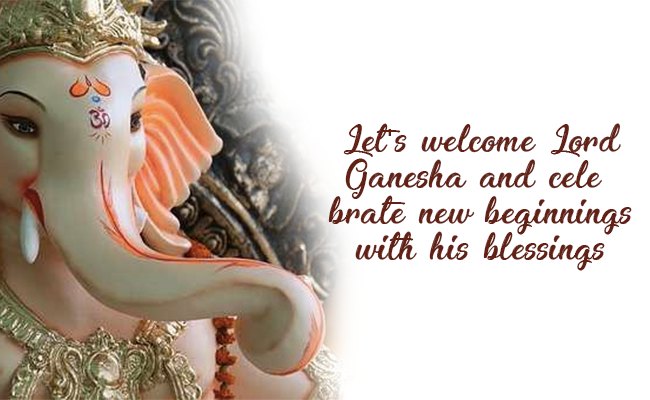 Let's welcome Lord Ganesha and celebrate new beginnings with his blessings. Happy Ganesh Chaturthi! Modak, a sweet dumpling, is offered to the Ganesha idol and also received as prasad during the 10-day festival that reveres Lord Ganesha. Ganesh Chaturthi 2018 is observed throughout India. Special preparations are done in in the states of Maharashtra, Karnataka, Goa, Telangana, Gujarat and Chhattisgarh. In Mumbai alone, around 150,000 statues are immersed annually. Happy Ganesh Chaturthi to all!